BOSTON, MA; UNIVERSITY PARK, FL; NEW YORK, NY, July 27, 2017 – Advent International, one of the largest and most experienced global private equity investors, today announced that it has agreed to make a majority investment in First Watch Restaurants Inc. (“First Watch”), the prominent breakfast, brunch and lunch concept. First Watch’s existing management team will continue to lead the company and will retain a meaningful equity stake in the business. The transaction is expected to close in the coming weeks. Financial terms were not disclosed. First Watch is a portfolio company of Freeman Spogli & Co. In recent years, First Watch has executed an aggressive growth plan, nearly tripling its total number of restaurants through organic company-owned restaurant growth, franchising and acquisitions. This plan has led to growth in revenue and EBITDA. For First Watch, 2016 marked 33 years of positive same-store sales growth, as the company finished the year up 7 percent supported by positive traffic. The brand’s strong performance can be attributed to maintaining a focus on delivering a superior, differentiated customer experience and culinary offering at an exceptional value that continues to resonate with a broad consumer demographic. Advent International has significant investment experience in the retail, consumer and leisure industry. Over the past 27 years, the firm has invested more than $9 billion in 71 companies in the sector worldwide. In addition to First Watch, recent North American investments include Sovos Brands, whose businesses include Michael Angelo’s Gourmet Foods and Rao’s Specialty Foods; Noosa Yoghurt, lululemon athletica (NASDAQ: LULU), The Coffee Bean & Tea Leaf, Serta Simmons Bedding, Party City (NYSE: PRTY), Bojangles’ (NASDAQ: BOJA) and Five Below (NASDAQ: FIVE). Founded in 1983 in Pacific Grove, CA, First Watch specializes in award-winning, made-to-order Breakfast, Brunch and Lunch. A recipient of more than 200 “Best Breakfast” and “Best Brunch” accolades, First Watch offers traditional favorites, such as omelettes, pancakes, sandwiches and salads, and unique specialty items like Quinoa Power Bowls, Avocado Toast and the Chickichanga. First Watch was named the 2016 top Family Dining restaurant by Consumer Reports, a 2015 Top Consumer Pick by Nation’s Restaurant News and a 2014 Top Franchise Value by FSR Magazine. 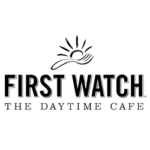 First Watch is the largest and fastest-growing daytime-only restaurant concept in the United States with more than 300 restaurants in 26 states, including more than 200 First Watch restaurants, 90 The Egg & I restaurants and one Bread & Company restaurant in Nashville. Freeman Spogli & Co. is a private equity firm dedicated exclusively to investing in and partnering with management in consumer-related and distribution companies in the United States. Since its founding in 1983, Freeman Spogli has invested over $3.8 billion in 56 portfolio companies with an aggregate transaction value of approximately $22 billion, and is currently making investments from FS Equity Partners VII, L.P. Freeman Spogli has offices in Los Angeles and New York.